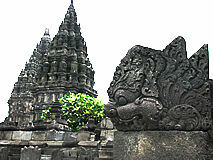 Prambanan is dedicated to the Trimurti: the unity of creation, destruction and permanence. 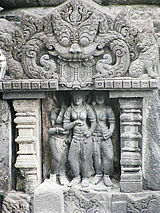 In Hinduism these Cosmic Forces are embodied by three Gods: Brahma, Shiva and Vishnu. 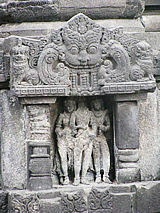 In our quest for the Origin we understand that the Trimurti orginally were three aspects of the Cosmic Mother. 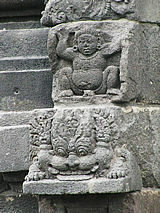 In Her Womb everything dies, is reborn, thus maintaining balance in the "web of life". 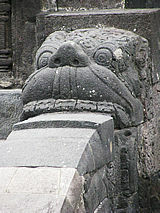 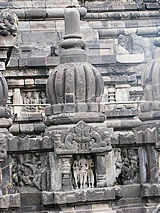 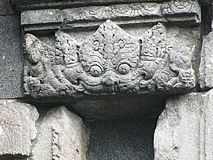 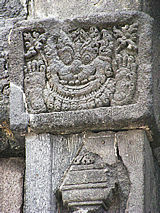 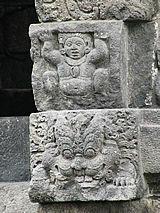 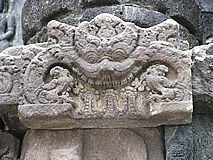 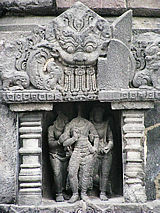 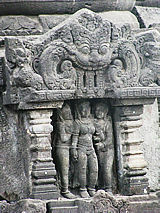 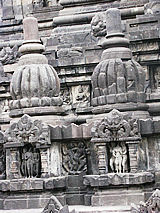 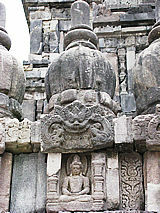 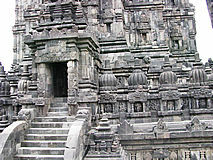 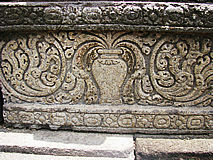 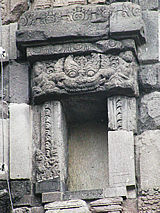 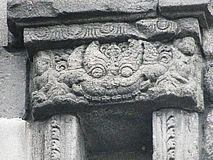 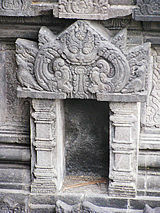 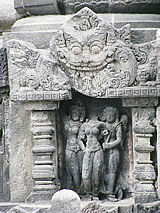 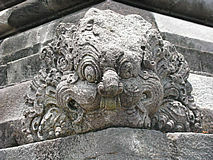 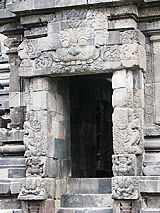 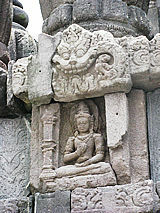 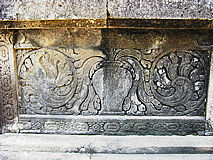 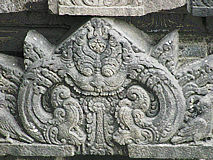 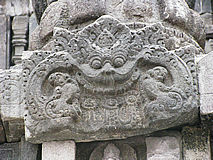 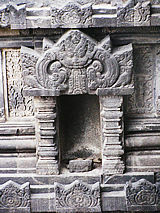 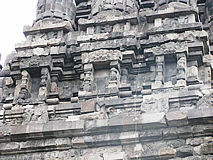 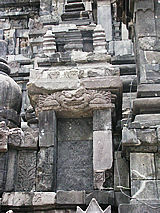 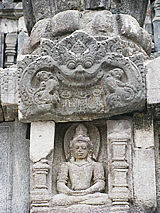 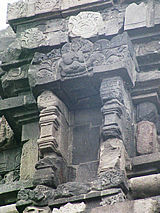 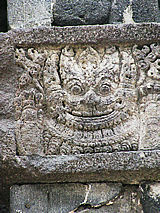 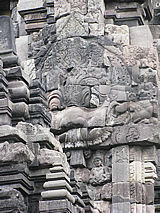 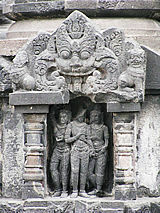 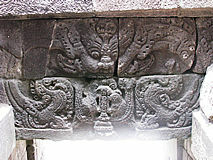 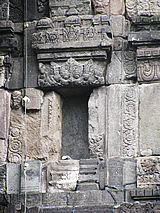 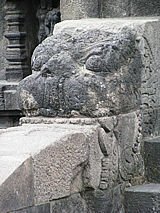 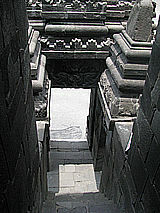 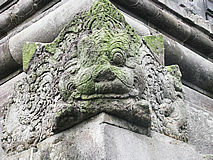 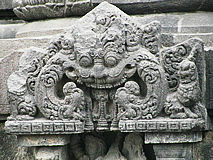 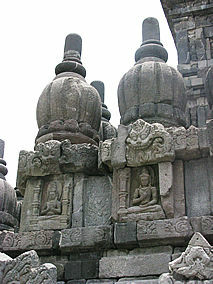 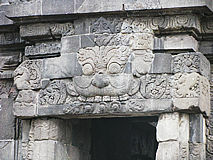 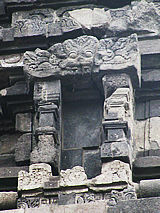 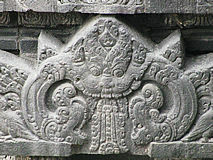 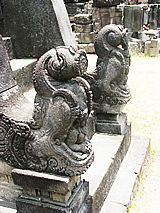 My challenge at Prambanan: can under the superficial layer of the Trimurti still traces of the Original Mother be found? 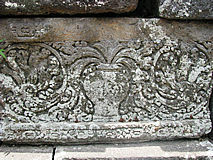 In the course of time these aspects of the Mother were separated from the Whole. 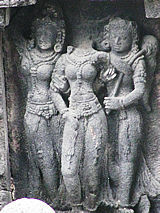 They started "living a life of their own". 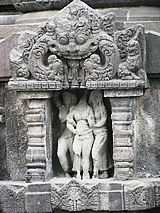 So, the Trimurti was born, in which Gods took over the power of the Mother. 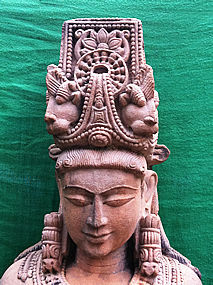 Rather than worshipping One Origin, people dedicated themselves to various deities, traditions, sects and temples. 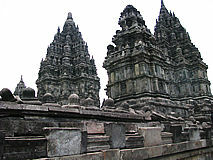 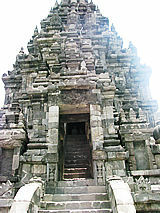 Prambanan, through its worship of the undivided Trimurti, is still a happy exception. 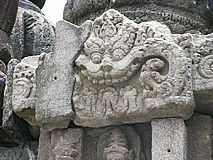 Again, can some of the old connections be traced? 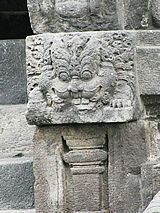 The greatest mystery is Kala. 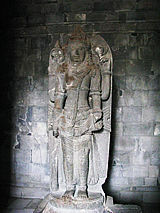 How can She be so incredibly powerful? 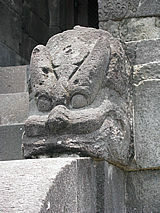 This isn't just a demon, as described by almost all authors. 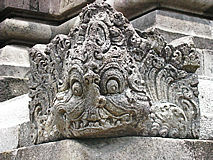 Of course, it is clear - like in all other traditions - that the Deities of a previous era become the demons of the next. 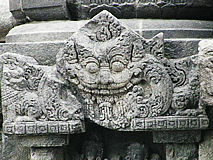 So, indeed, what we see is a Demon. 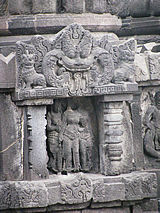 She is, however, one whose full Primordial Power is still fully visible.